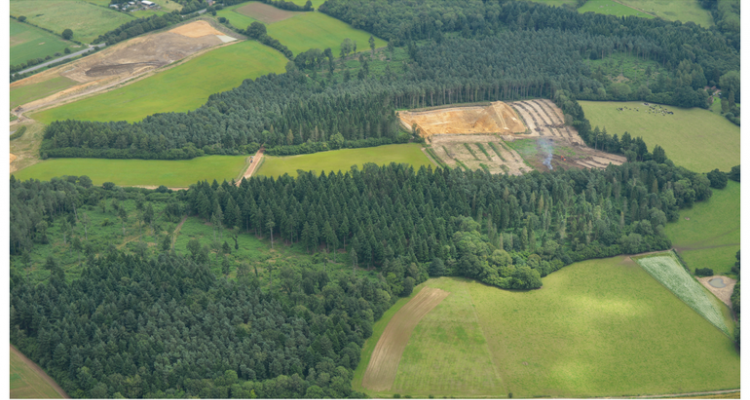 The Quarry Master Raymond Brown has recently submitted a planning application for an extension to Brickworth Quarry were sand is actively extracted. This has caused a stir with local media claiming that the site forms part of an ancient woodland. This is incorrect, the site does have Ancient Woodland characteristics in the form of Ancient Woodland Soils however there is not a single ancient tree on the site. Woodland cover is predominately Scots Pine and Douglas Fir that was planted during the 1980’s. The restoration programme post extraction will be a return to native broadleaves. The site is contained within Wiltshire’s Mineral’s Plan.